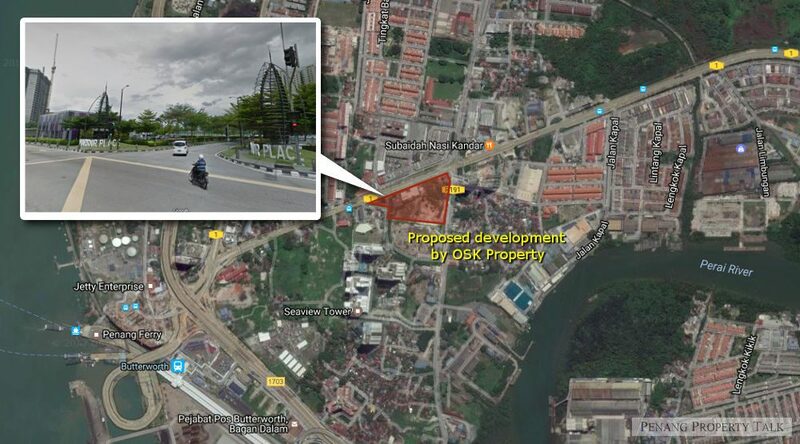 Yet another proposed commercial development by OSK Property at Harbour Place Metrocity in Butterworth, Penang. It is located next to the ongoing Luminari serviced suites, only a mere minutes drive away from the upcoming Penang Sentral. This development will see a mix of 30-storey serviced apartment, offering 568 residential units and 40 units of 4-storey shop offices. Before buy please think twice. If you buy i will say good luck to you n very soon you will regret. There are so many negative comments for their previous projects. It’s too congested there. OSK just think of their pocket by keep building high rise. ParkView, Wellesley Residences, Luminari & now another service apartments. Go there & see yourself. The existing residents staying at ParkView & Wellesley Residences are facing problem on no car park. They parked the car at both sides of the road. Imaging the occupany for Wellesley Residences now is less than 30%. What if one day turn up to be fully occupy. Those cars parked in front of the road of the apartment was issued compound by MPSP nowadays. They will offer low maintenance fee to attract buyer. After OC obtained, the maintenance fee shot up almost 50% in one year because the account was left with deficit. RM17 billion approved for Bayan Lepas LRT and Pan Island Link 1 UPCOMING: George Town / Senrita Development Sdn. Bhd.